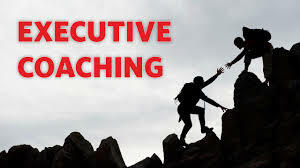 Executive coaching is a strategy that can accelerate the development of your key people – for example in leadership capabilities such as negotiating skills, public speaking and presentations skills, people management, team building, delegation, and their time management or stress management skills. Executive Coaching Melbourne offer support to executives in their current role – as well as developing the leadership capability of high-potential staff for stepping into a future management role. Coaching is a way of offering much more individualized and intensive guidance for your key staff. Brian also has a small team of coaching specialists, who can be called upon – depending upon the dynamics that will best “fit” the individual. Personal chemistry in the coaching relationship can be one of the critical success factors that determine how much the individual gains from the process. Executive coaching Melbourne adopt an engaging process that comprises…. The executive coaching contract is reviewed regularly to ensure that it is delivering the type of progress that is sought by both the individual and their sponsor. As a guide to cost, it is suggested that to support genuine change you might consider three coaching sessions be scheduled. Each of these sessions, of around 2 hour duration, would likely cost $500 + gst per session at your site in or around Melbourne location.